An enterprise private network is a computer network built by a business to interconnect its various company sites (such as production sites, offices and shops) in order to share computer resources. Network diagrams visualize schematically the computer networks topology, equipment nodes and different types of their logical and physical connections. They are used by IT professionals to visually document the topology and design of computer and telecommunication networks. ConceptDraw has 1004 vector stencils in the 40 libraries that helps you to start using software for designing your own Enterprise Private Network Diagrams. You can use the appropriate stencils from Computer and Network Diagrams object libraries. 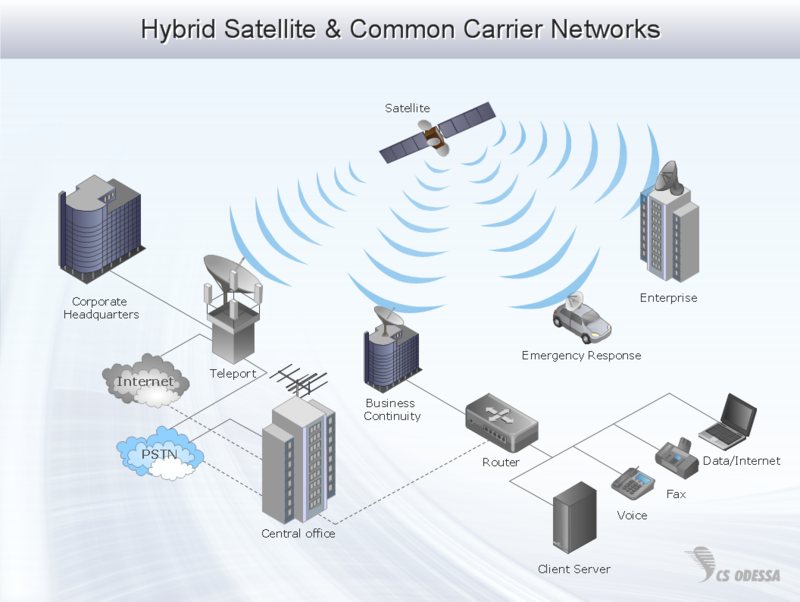 This enterprise private network diagram sample is created using ConceptDraw DIAGRAM diagramming and vector drawing software enhanced with Computer & Networks solution from ConceptDraw Solution Park. A Virtual Private Network (VPN) is a network that allows the private networks at a remote location securely connect to the public Internet and provide access only to the intended recipients for transmitting data. VPN is built by creating the virtual point-to-point connection using the dedicated connections, traffic encryption or virtual tunneling protocols. This example was created in ConceptDraw DIAGRAM v12 using the Computer and Networks Area of ConceptDraw Solution Park and shows the Virtual Private Network (VPN) diagram. 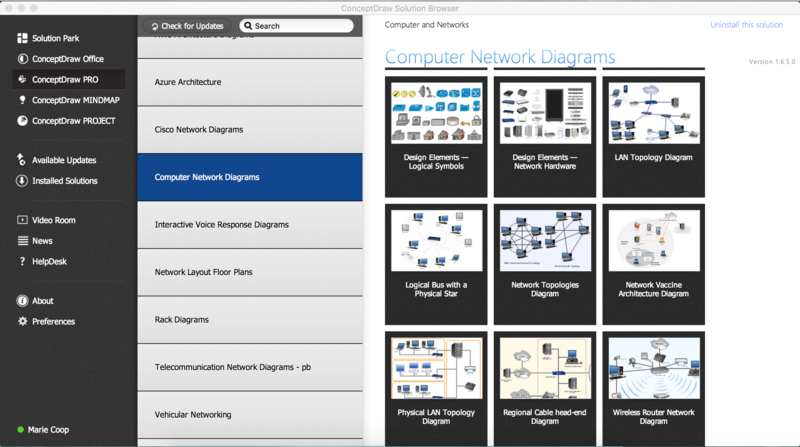 ConceptDraw is rapid and powerful network diagram drawing software with rich examples, templates, design objects and stencils.